LA JOLLA, CA, USA, March 19, 2019 /EINPresswire.com/ -- CureMetrix®, a healthcare technology company that develops computer-aided detection (CAD) software based on artificial intelligence (AI), announced today that it has received clearance from the U.S. Food and Drug Administration to market its product cmTriage™. "Early and accurate detection in breast cancer is key in improving cancer survival rates worldwide through the development of next generation medical image analysis solutions. 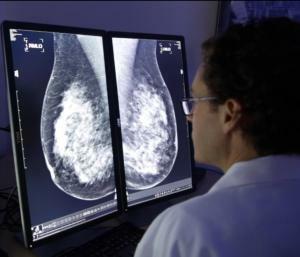 With 40 million mammograms a year in the U.S., only five cancers per 1,000 are being found at screening. cmTriage allows the radiologist to prioritize their worklist, creating the potential to help doctors move more quickly through their reviews and find those cancers by highlighting the suspicious cases.